Penitentiary service chiefs to take polygraph test | Russian Legal Information Agency (RAPSI). MOSCOW, April 29 (RAPSI) – Russia’s Justice Ministry has compiled a list of Federal Penitentiary Service officials who will have to take a compulsory lie detector test before appointment. The order is published in the Rossiyeskaya Gazeta government daily. The ministry list includes prospective Penitentiary Service department heads and their deputies; heads of departments and press bureaus of the Organization and Inspection Division; the administration chief’s office staff; chief accountants and their deputies. 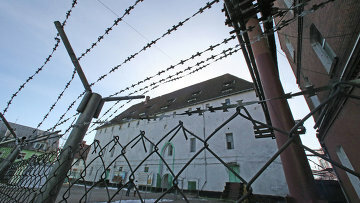 All officials of the Man Inspectorate for the Penitentiary System will be required to take the test, as well as future employees of the Main Auditing Inspectorate of the Organization and Inspection Division, the personnel department and other officials whose job will include awarding state contracts. Medical experts will also have t take the test. However, according to a note to the ministry order, specialized psycho-physical tests will be taken n a voluntary basis with a written consent of the individual to be tested, Rossiyskaya Gazeta writes. In June 2011, the ministry adopted a provision on psycho-physical testing, including polygraph testing, in the penitentiary system. 12:19 29/04/2013 Russia’s Justice Ministry has compiled a list of Federal Penitentiary Service officials who will have to take a compulsory lie detector test before appointment.